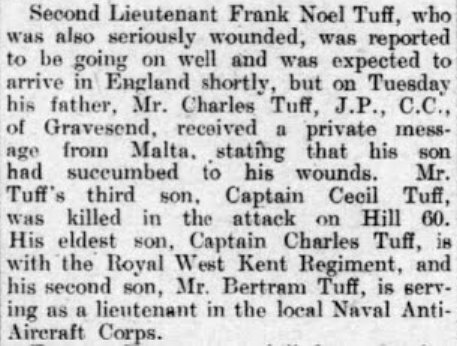 Since this was written, the Internet has made far more information available to us and so we are able to fill in some of the missing detail regarding the brief life of Frank Noel Tuff, a Ryburgh soldier by marriage and it seems, an accidental casualty of the Great War. 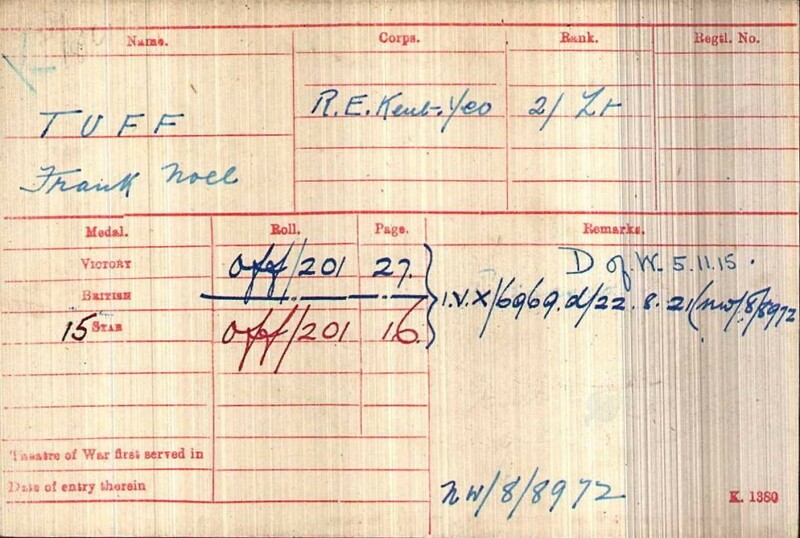 Re Second Lieutenant FRANK NOEL TUFF Deceased. Pursuant to the Act of Parliament 22nd and 23rd Vic., cap. 35, intituled " An Act to further amendthe Law of Property end to relieve Trustees. 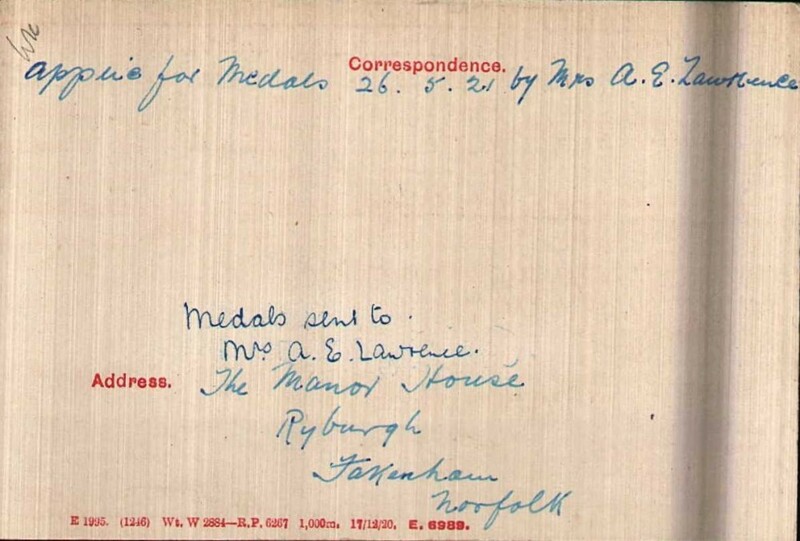 "NOTICE is hereby given, that all creditors andother persons having any claims or demands against the estate of Second Lieutenant Frank NoelTuff, late of Uplands, Singlewell-road, Gravesend, in the county of Kent, deceased (who died at Malta of wounds received in the Dardanelles, on the fifth day of November, 1915, and whose will was proved in the Principal Registry of the Probate Division of His Majesty's High Court of Justice, on the 24th day of January, 1917, by Muriel Mary Tuff, Charles Tuff and Bertram Tuff, the executors therein named), are hereby required to send the particulars, in writing, of their claims to us, the undersigned, the Solicitors for the said executors, on or before the twelfth day of May next, after which date the said executors will proceed to distribute the assets of the said deceased amongst the persons entitled thereto, having regard only to the claims of which they shall then have had notice; and they will not be liable for the assets of the said deceased, or any part thereof, so distributed, to any person of whose claims or demands they shall not then have had notice.—Dated this 12th day of April, 1921. Solicitors for the Executors, The Precinct, Rochester, Kent. Matches 11, Innings 20, Not out 7, Runs 190, Highest score 35, Average 14.61, Hundreds 0, Catches 6. 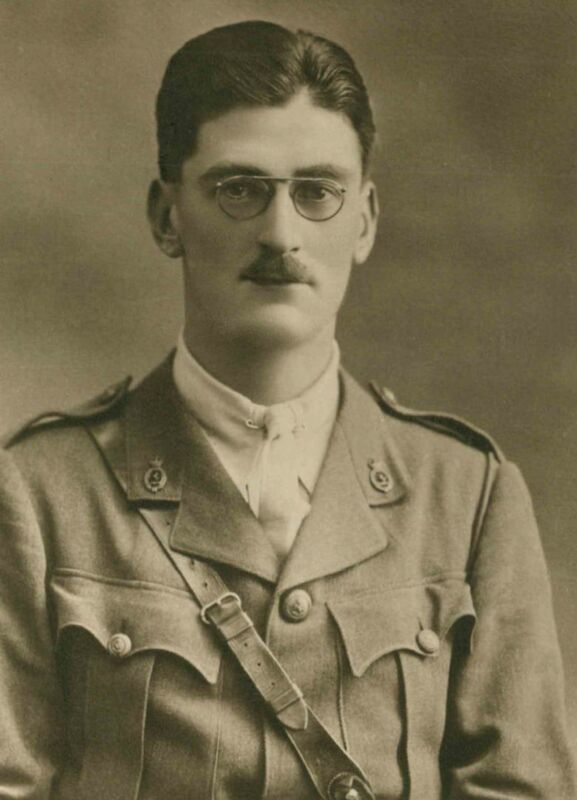 His final first-class match was for Free Foresters in 1914. He played soccer for Oxford and Corinthians. played in the Corinthians team on the very influential tour to Brazil in 1910.